LiquiFirm™ Facelift Face Serum combines ultra-hydrating Hyaluronic Acid with Pepha®-Tight, a unique natural algae extract known for its ability to increase skin firmness. This light, non-greasy formula helps to lessen the appearance of fine lines and wrinkles. Hyaluronic Add (HA) is a vital and natural element of healthy, vibrant skin. It is necessary to retain the skin's moisture and to provide volume, form and lift. 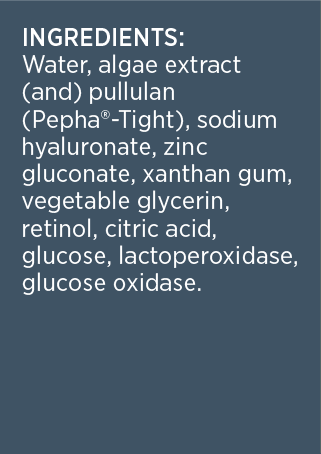 Pepha®-Tight is a highly purified, natural extract of the microalgae Nannochloropsis oculata. It lifts and tightens the skin. When used consistent­ly, it supports healthy collagen fibers and skin cell integrity, as well as healthy collagen production in the skin.